The Velvet Underground, a rock group from the 60s, consisted of members Lou Reed, John Cale, Sterling Morrison, Maureen Tucker and Nico. They were a group that stayed together for four years but in that time set their own trends in the music world that’s talked about to this day. They were considered one of the first alternative rock groups that had a different vibe to the way they did and presented their music. They were promoted and produced by pop artist Andy Warhol who at that time was at the peak of his career. 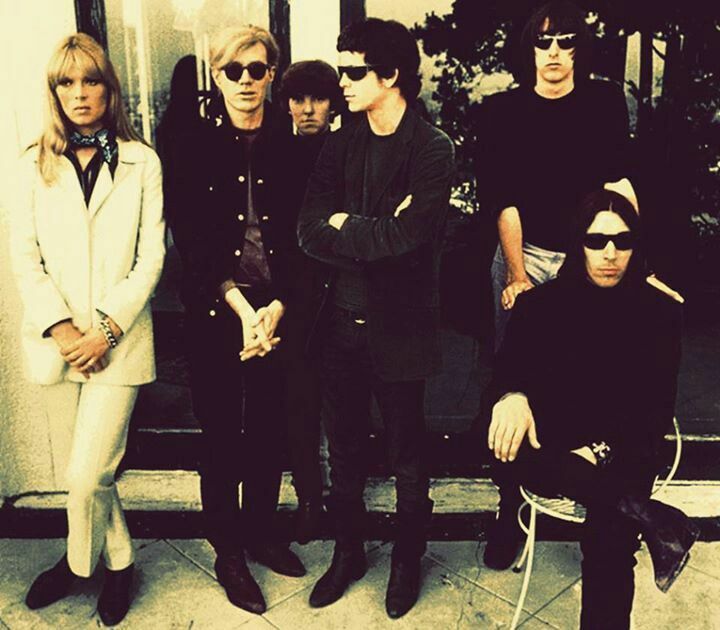 Warhol was also the one who introduced supermodel Nico to the group who became a lead singer. Andy Warhol was not your regular pop artist. He was also into art and film as well. As a result, he wanted to promote film, music and art with The Velvet Underground’s image. Using his studio The Factory in New York, they put together some of their most memorable moments, art and music there. The songwriters of The Velvet Underground consisted of John Cale and Lou Reed. A lot of The Velvet Underground songs followed this aesthetic. When you listen to some of the songs, you can hear from the lyrics that they are telling a story about the things going on with people in their everyday life. “I’m Waiting For My Man,” “There She Goes Again” and “Chelsea Girls” are good examples of the storytelling they had going on in their songs. After listening to The Velvet Underground and Nico album as well as learning more about them personally, it helped me understand a bit of who they were and what they stood for music wise. Even though people may have had certain impressions of them and their music that wasn’t all positive, (they were considered hippies), their sounds were still unique enough to gain them the attention they deserved once the right opportunities were presented to them. Personally, it’s not my kind of music and it didn’t resonate with me much but from an objective view, I was able to appreciate and respect their art and the music they created. I especially liked how they were free-spirited and didn’t conform to the norms of their time. The Velvet Underground’s style of music was a mixture of pop and punk rock that had a sort of rough edgy feel to it. It was a new wave of music back in the 60s. They meshed the styles of ‘pop music and avant-garde while attempting to make their sound commercial’. Harvard, J. (Author), & Vietor, M. (Narrator). (2008). The Velvet Underground’s The Velvet Underground and Nico (33 1/3 Series) (Unabridged). [Audiobook Download]. Retrieved April 16, 2012, from http://itunes.apple.com/WebObjects/MZStore.woa/wa/viewAudiobook?id=296005812&s=143441.